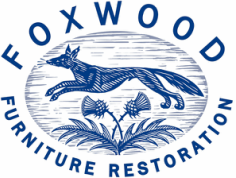 Welcome to Foxwood Furniture Restoration, a family-run business now based in the village of Whalton, 6 miles from Morpeth in Northumberland. As well as the above other specialist services include Veneering work, Glazing repairs, Leather Desk-top Skiver replacement, Picture/Mirror Frame plaster/gesso/gilding repairs, etc. Foxwood primarily serves the local areas of Northumberland, Newcastle and the Tyne Valley. Other projects have been taken on further afield including London, Wales and the island of Guernsey.